Y’know that big shiny building affectionately referred to as “The Walkie Talkie”? The one that accidentally melted cars when it was first erected? 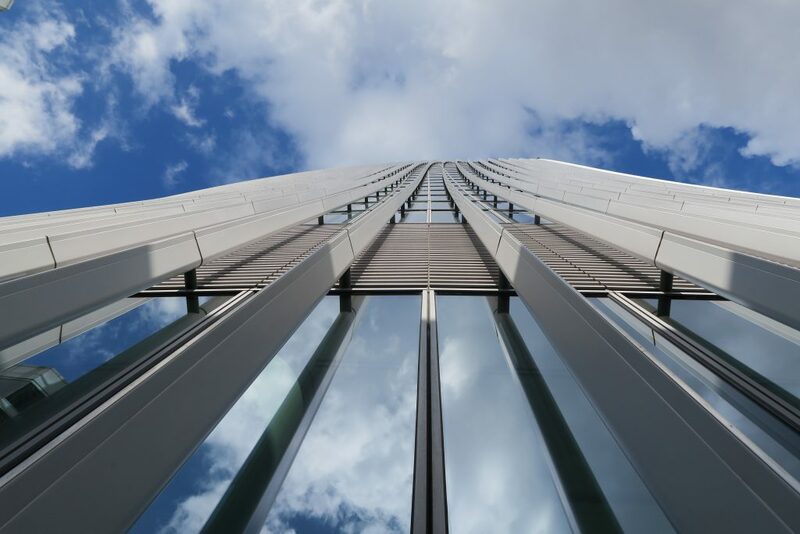 Well… it turns out that on the top floor of this building (155m high! ), there’s a super cool bar set in a garden themed area. And best of all? It’s free! The Sky Garden is a glass dome at the top of the building which spans 3 storeys and offers 360 degree views of this beautiful city. 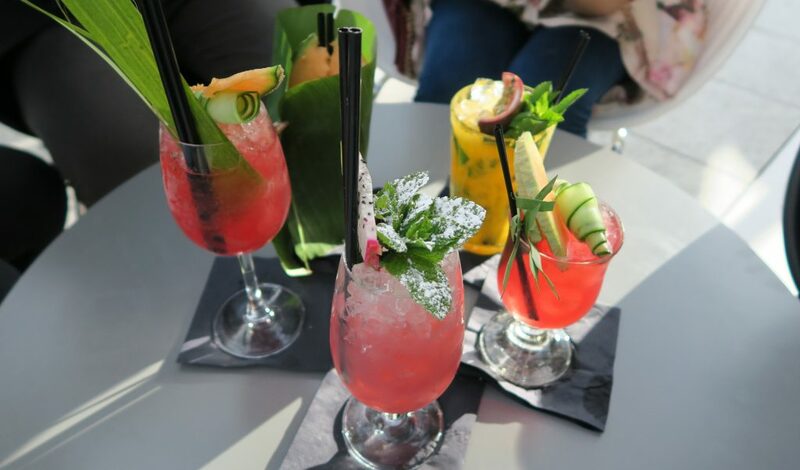 You can expect delicious cocktails, gorgeous views and funky tunes (yes, there is a DJ in amongst all the greenery!). 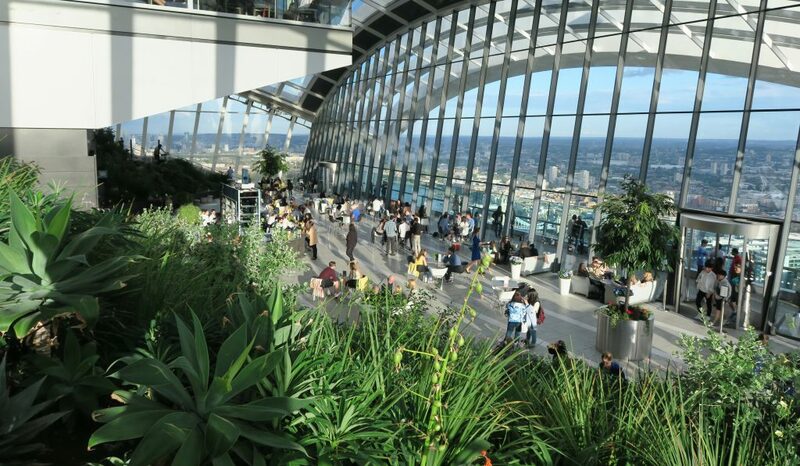 Like I already mentioned, the Sky Garden is free to visit but you do need to make an online booking prior to arrival. Time slots are available online 3 weeks beforehand and can be booked up to 1 hour before your arrival. If you’re planning on visiting on a weekday, the booking process should be easy peasy. However, the weekend slots are notoriously hard to get, so make sure you’re online 3 weeks beforehand! RELATED: Thinking of heading to the Sky Garden? 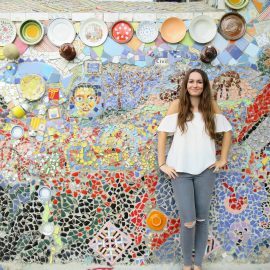 Check out my “London Bucket List” to see what else you can do during your time in London! Let’s not beat around the bush, London is an expensive city, so any free activity is a good one! 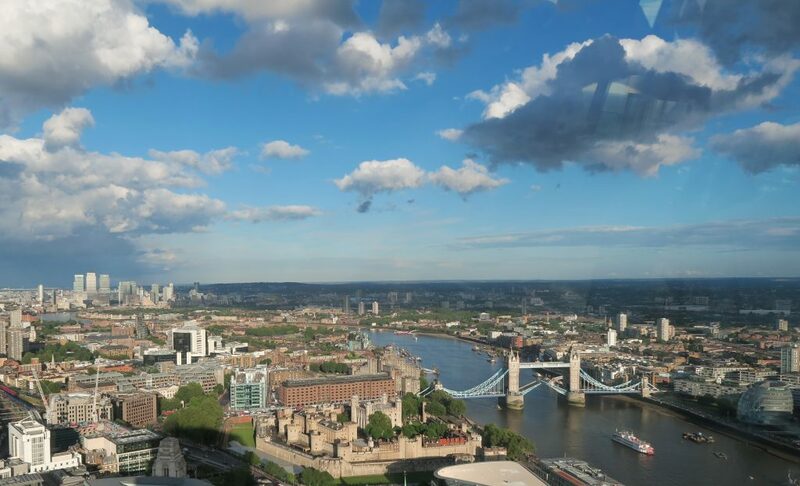 Friends of mine have said that the Sky Garden is better than the Shard which you have to pay to visit – I can’t comment as I’ve never visited the Shard! I feel somewhat reluctant to visit now that I’ve had such a great experience at the Sky Garden. The cocktails are absolutely insane. Whilst they are slightly pricey at around £11 each, I’ve paid up to £16 for a cocktail in the city and given the fact that this is such a touristy attraction, I don’t think £11 is too bad! Each cocktail takes a little while to make, so make sure you order as soon as you arrive (we had dinner reservations booked in Central London, so had to down our drinks super quickly and run out the door once they had been made – that will teach me for taking so long admiring the view and taking photos beforehand…). If you’re a fan of London, the view is a pretty damn good one. There are also two restaurants to dine in being the Fenchurch Restaurant and the Darwin Brasserie. I’ve heard good things about both and would absolutely love to try one (or both!). As you can see from my above photos, there’s a big chunk of glass separating you from the lovely view, so my photos are a bit crap. But I suppose having crap photos is better than plummeting to my death from 155m… I suppose. 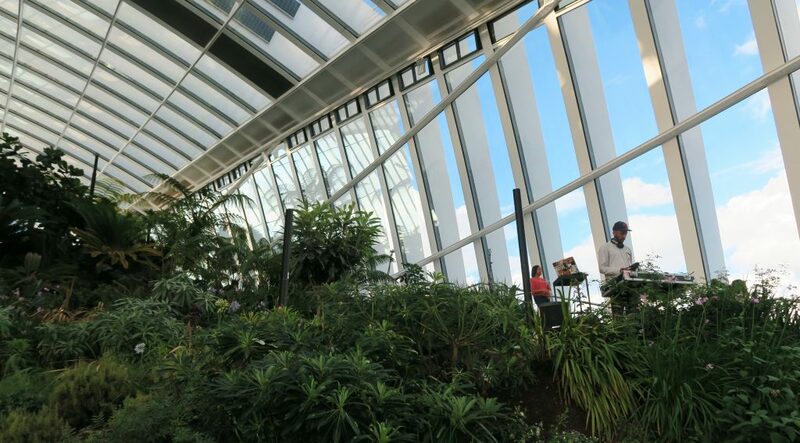 Have you been to the Sky Garden? What Did You Think? 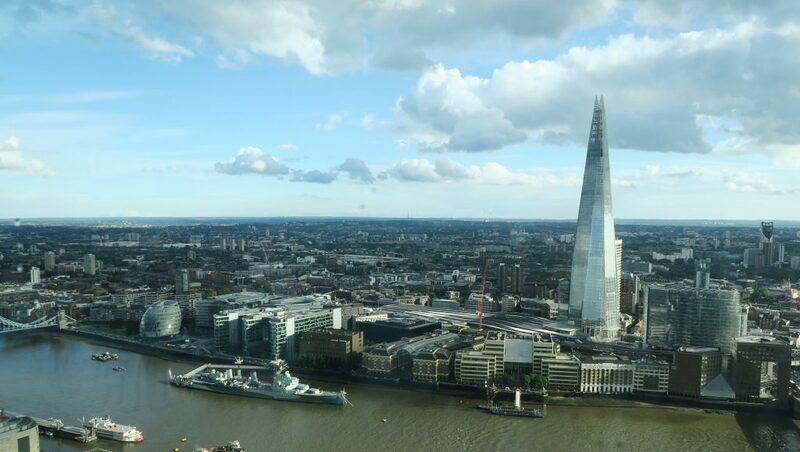 Do you have any other recommendations for free things to do in London? It looks amazing there! I’ve seen this on a few blogs, but I actually didn’t realise it was free, or that it was in the ‘walkie talkie building’. I love that building haha! I’m definitely going to have to have a look at this the next time we visit London!